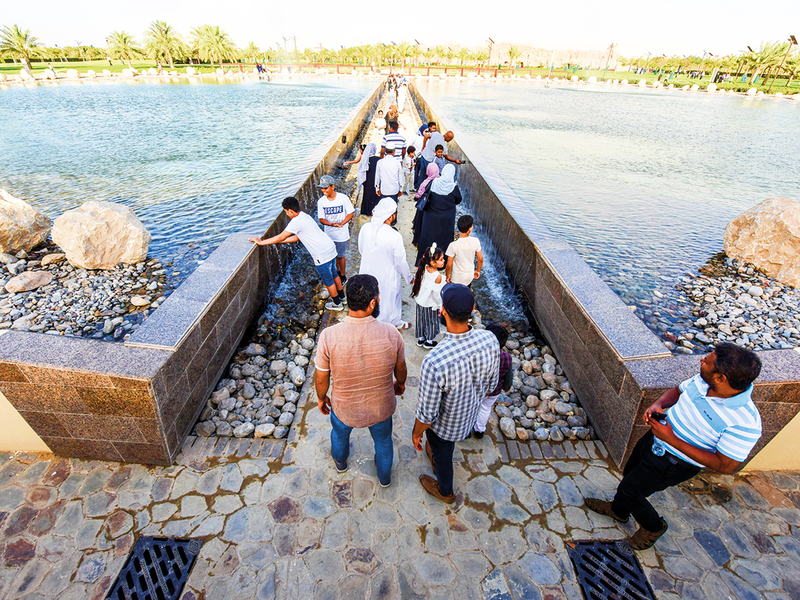 Dubai: Residents flocked to the newly opened Quranic Park at Al Khawaneej during the first weekend to take in its many marvels. 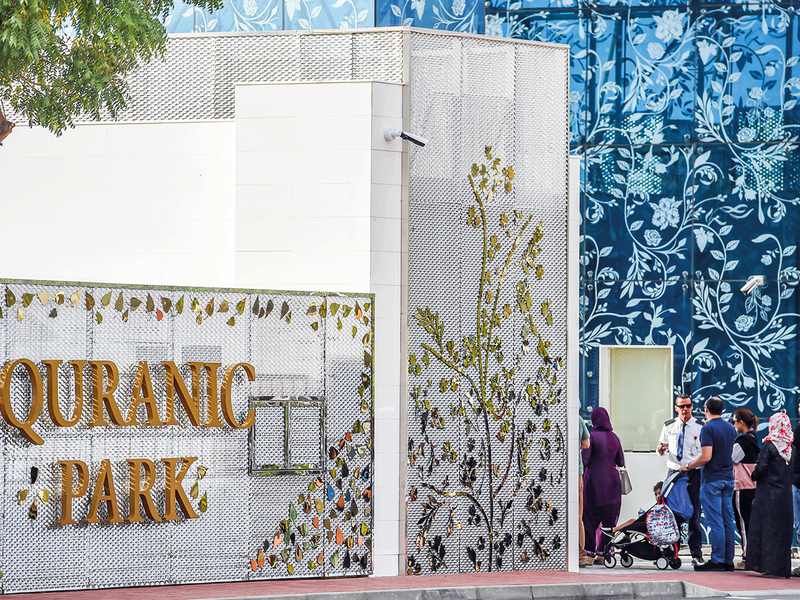 Dubai Municipality’s 60-hectare Quranic Park has 43 plants and seven Prophet miracles mentioned in the Holy Quran. The newly opened park also has a walkway dedicated to exercising and cycling. 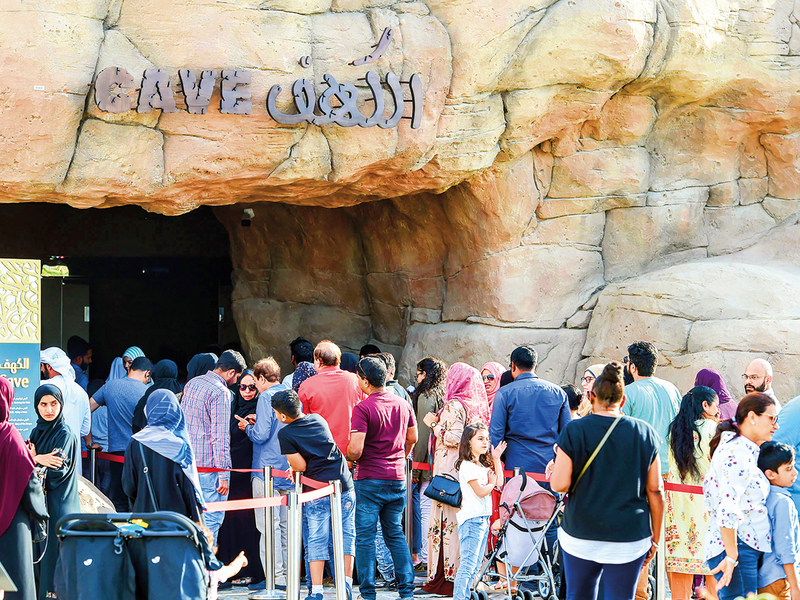 As Dubai Municipality’s Director General Dawood Abdul Rahman Al Hajiri had announced earlier, the open park without walls would allow everyone to benefit from its various facilities with the entrance fee limited to only the Cave of Miracles and the Glass House at Dh10 each. “Among the most important elements of the project is the Glass House containing the plants mentioned in the Holy Quran and Sunnah, which grow under certain temperatures and special environmental determinants, as well as shops selling herbs and plants mentioned in the Holy Quran,” he said. Among the most important elements of the project is the Glass House containing the plants mentioned in the Holy Quran and Sunnah, which grow under certain temperatures and special environmental determinants, as well as shops selling herbs and plants mentioned in the Holy Quran. “The park consists of 12 gardens containing the plants mentioned in the Holy Quran and Sunnah, with its scientific and medicinal benefits and uses, including bananas, pomegranates, olives, melons, grapes, figs, garlic, leeks, onions, corn, lentils, wheat, pond beans, ginger, tamarind, basil, pumpkins and cucumbers,” Al Hajiri said. The Cave of Miracles, which contains seven miracles mentioned in the Quran, displays them with the latest interactive techniques. The park also includes several kiosks in all gardens to display information on all types of plants and cultivated trees, the benefits of their uses in food and medicine, as well as the verses mentioned in the Quran. Al Hajiri explained that the mission of the Quran Park is to contribute to enhancing of the cultural and scientific roles of Islamic heritage by localising the plants mentioned in the Quran and Sunnah and the embodiment of the Islamic heritage. “The Quranic Park aims at building bridges of intellectual and cultural communication with different cultures, religions and people, by introducing the cultural achievements of the Islamic religion in the field of plant ecology and preparing a scientific database for the plants of the Arab environment and to improve the efficiency of performance in the fields of agricultural production and scientific research,” he said. “The site of the strategic project in Khawaneej area, covering an area of 60 hectares, aims to present the values of Islam, which is the religion of tolerance, love and peace. "It is a strong doctrine that embraces all social and human virtues. Peace is one of the principles of Islam that has deep roots in the hearts of Muslims and has become a part of their existence and the goal of Islam on earth. "The Muslim is ordered to deal with others nicely and be benevolent and just in dealing with them as long as they are peaceful in their dealings and do not show enmity and hatred with Muslims,” he added.